If you are looking for a superior performing vehicle in a small size, you would be wise to consider the new Hyundai Veloster. 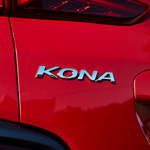 This popular compact car comes equipped with a variety of choices and features designed to help drivers customize their vehicle to their exact preferences. The Veloster enthusiasts at Fox Hyundai are ready to help you pick out the perfect vehicle for all of your needs. With a myriad of engine options, it is easy to personalize your Veloster. 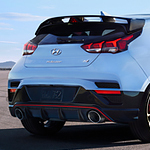 The Veloster 2.0 trim offers a 2.0-liter four-cylinder that delivers 147 horsepower. The Hyundai Sonata is a popular midsize sedan with several trim levels for you to choose from. This allows you to find a reliable sedan within your price range while getting an array of features. The trim levels include the SE, SEL, Sport, Limited, and Limited 2.0T. The engine changes for the Limited 2.0T, going from a 2.4-liter inline 4-cylinder engine with 185 hp up to a 2.0-liter twin-scroll turbo with 245 hp. 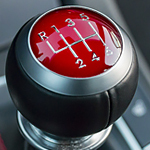 You can choose from different drivetrains depending on the trim level, too, including a 6-speed automatic or an 8-speed automatic. 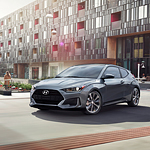 The Elantra by Hyundai is a versatile hatchback, and it's one of our popular vehicles here at Fox Hyundai in Grand Rapids. Not only a reliable car, it also has a stylish, modern vibe. 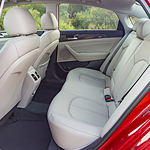 You can customize it by choosing your trim level and other options. The two choices for engine are the four-cylinder 2.0-liter that can achieve 161 horsepower and the 1.6-liter inline, four-cylinder engine that can get 201 horsepower. The 1.6L is the component that comes with the Sport version of the Elantra, whereas the 2.0L comes standard on the Elantra GT. Consumers who are in the market for a crossover SUV have many options to choose from, but our team at Fox Hyundai in Grand Rapids thinks the Hyundai Santa Fe is a top pick. It is a popular crossover SUV with consumers because it comes with a plethora of advanced features. Read further to learn about a few of its safety features. The Santa Fe comes with the Safe Exit Assist System as a standard safety feature. 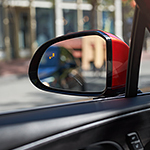 This system enhances your passenger’s safety by monitoring for vehicles that are approaching from the rear. 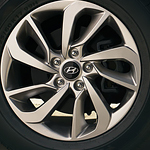 Hyundai Veloster automobiles are available in different trims. No matter what trim you pick, you'll get a dependable automobile that can effectively transport you to various residential and commercial destinations. The main Hyundai Veloster vehicle options include the Veloster 2.0, Veloster 2.0 Premium, Turbo R-Spec, Turbo, and Turbo Ultimate. If you want a manual transmission, you can acquire it by selecting a Veloster 2.0, Veloster Turbo R-Spec, or the Veloster Turbo Ultimate. Automatic transmissions are also available with Veloster cars. If great fuel efficiency is a primary factor in the decision process for your next vehicle, then you may want to consider a hybrid vehicle. Though these vehicles focus on getting great gas mileage, they have come a long way to providing drivers with an uncompromised driving experience. 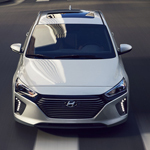 The 2018 Hyundai IONIQ seeks to rise to the head of the class by offering drivers some beneficial features.